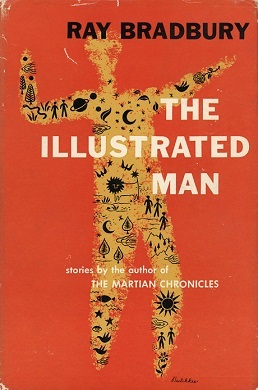 "The Illustrated Man", Ray Bradbury, 1951. 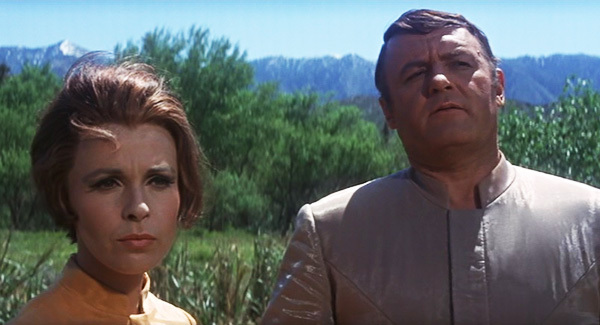 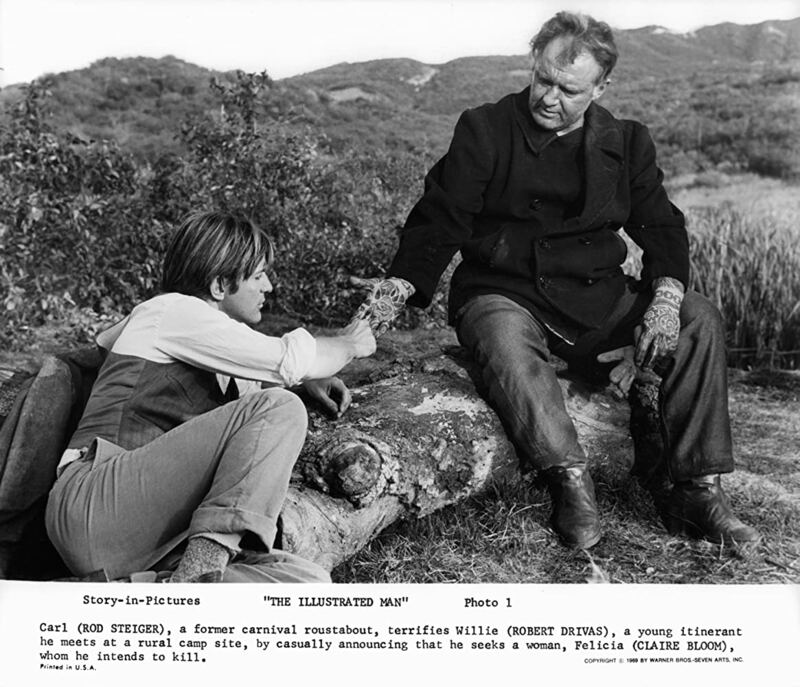 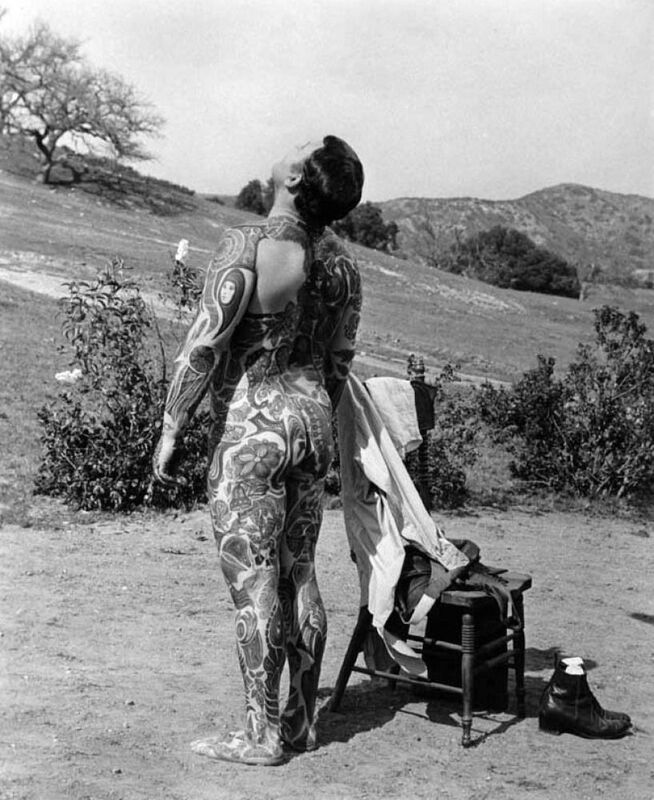 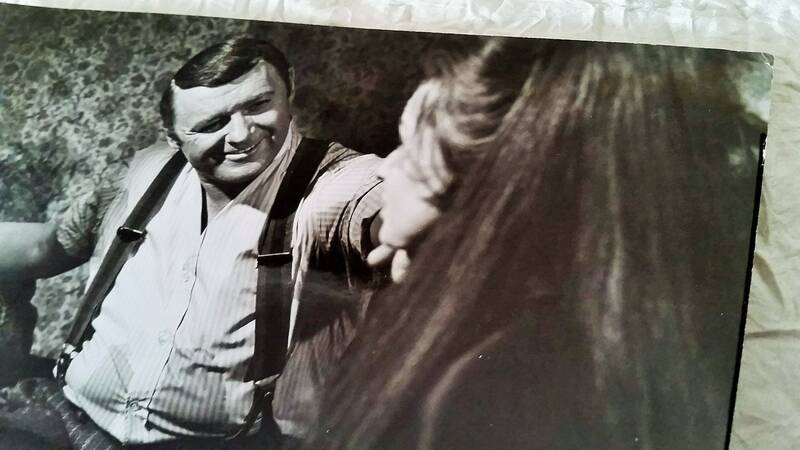 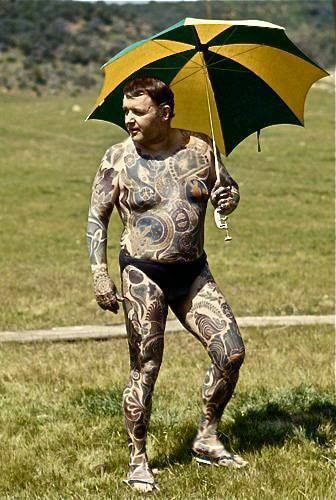 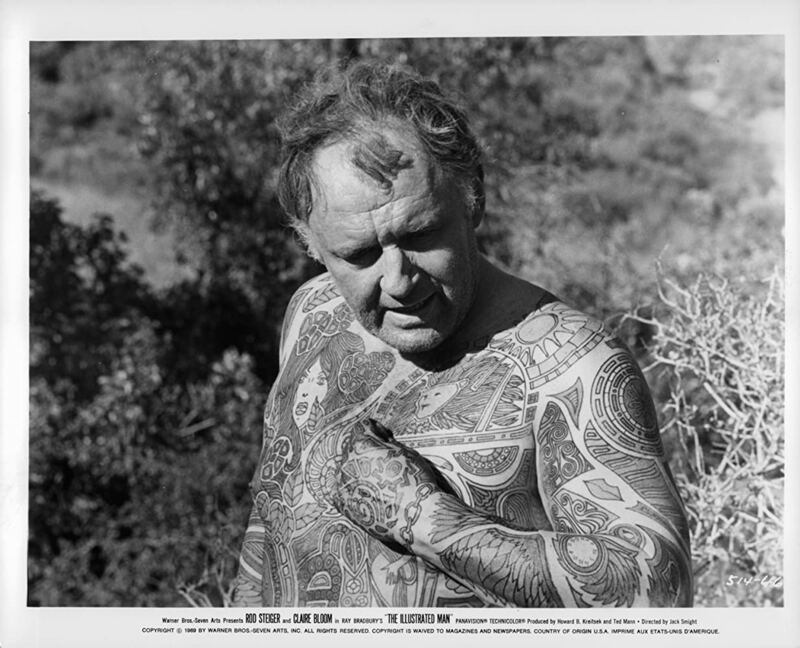 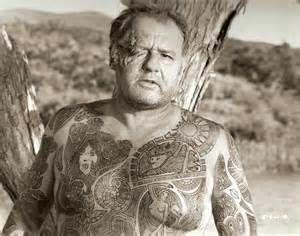 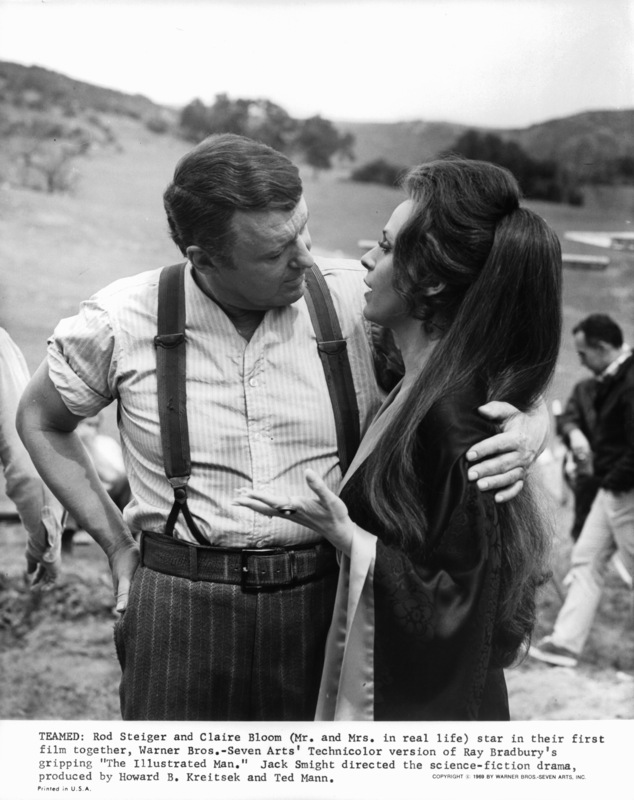 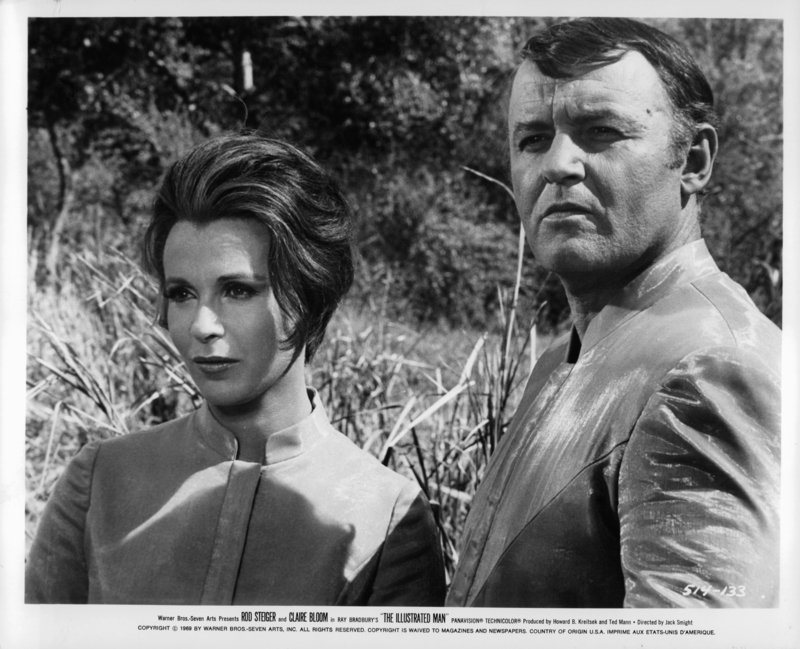 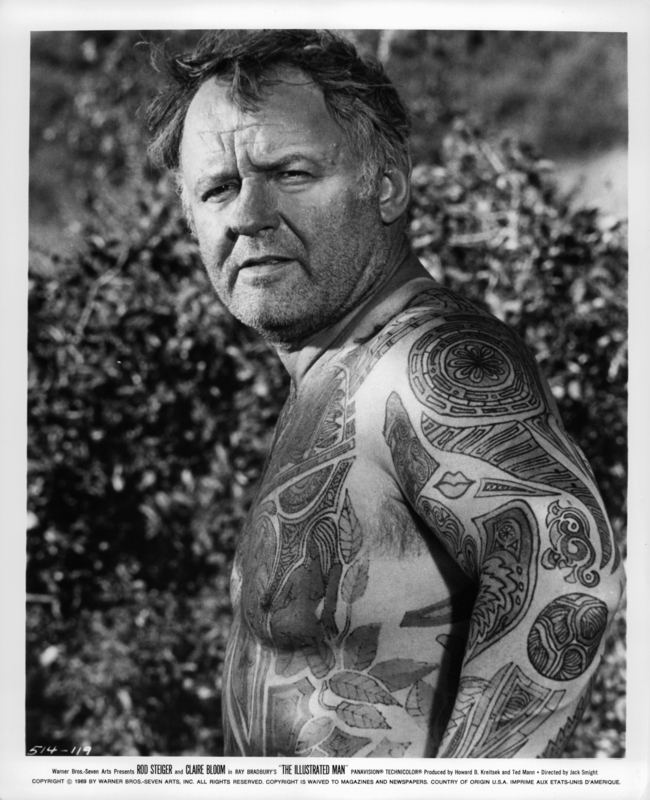 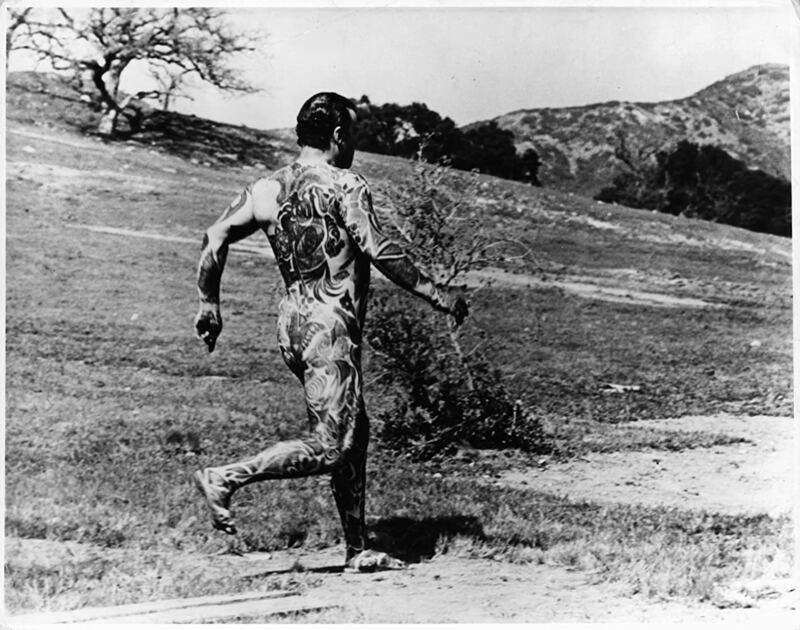 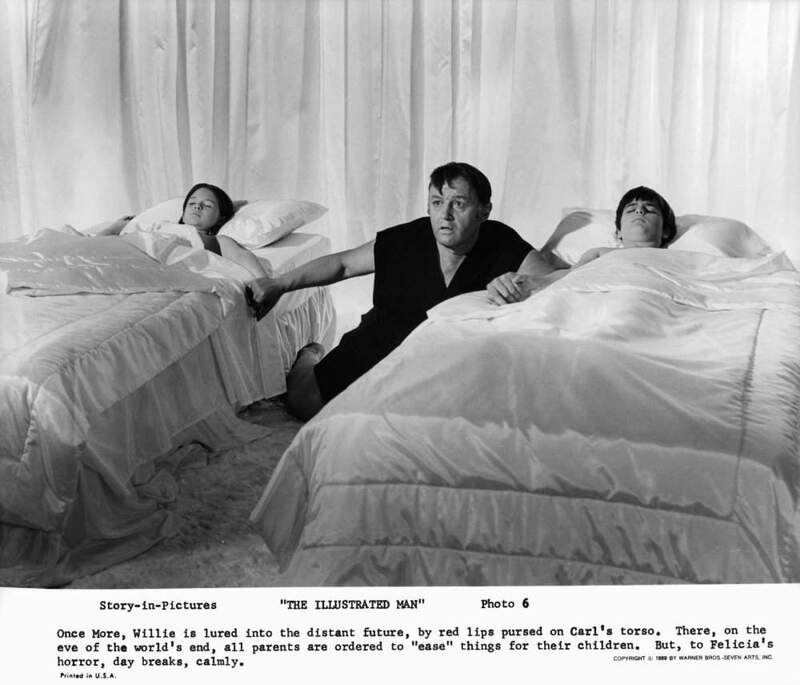 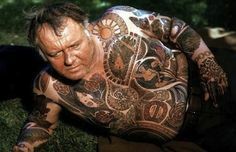 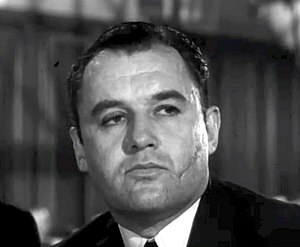 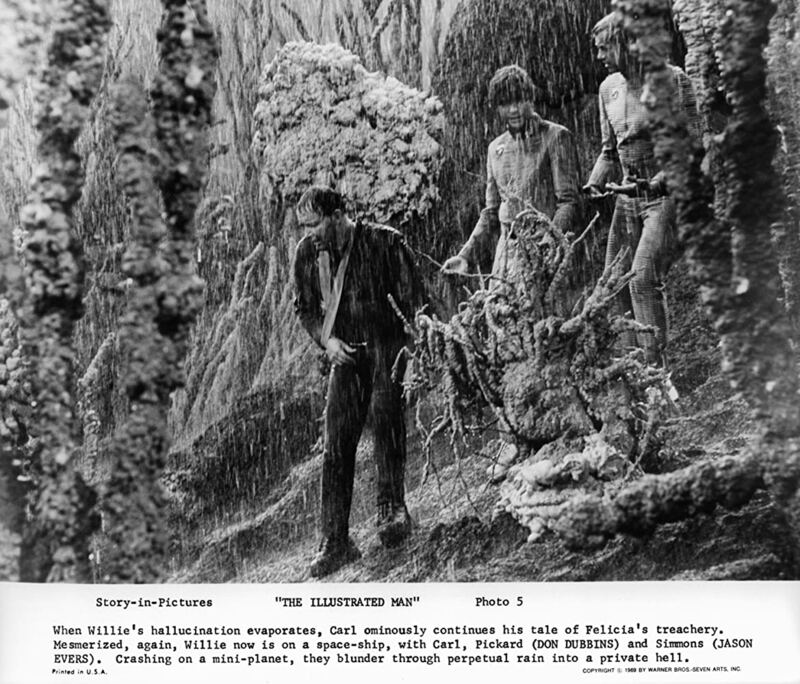 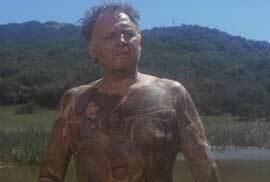 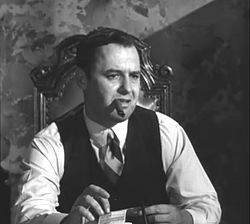 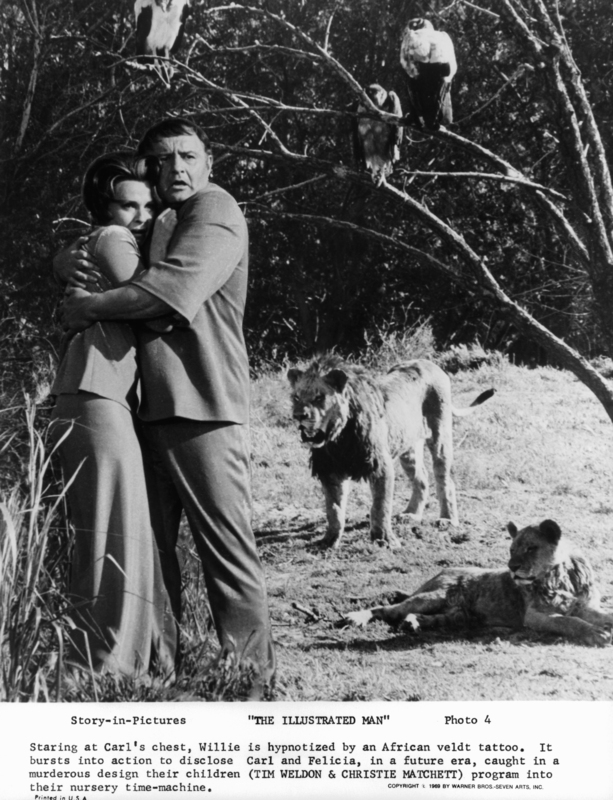 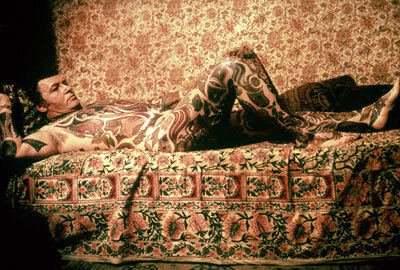 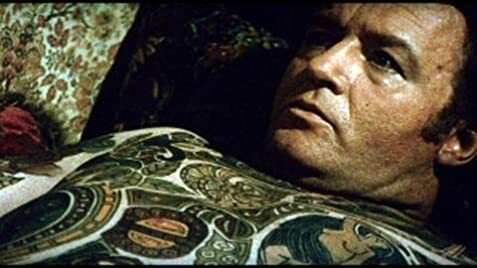 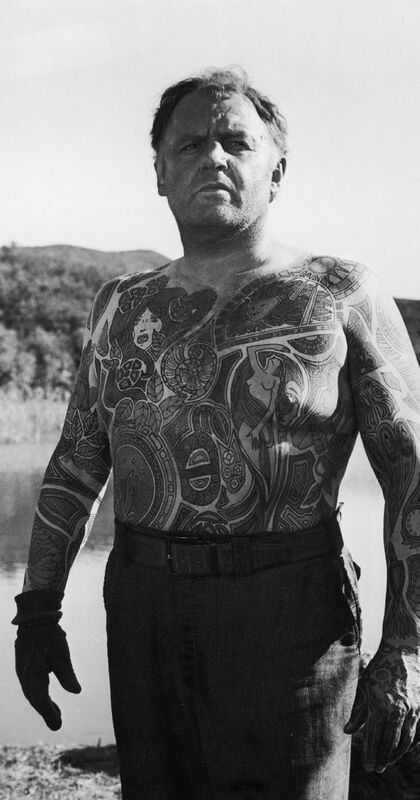 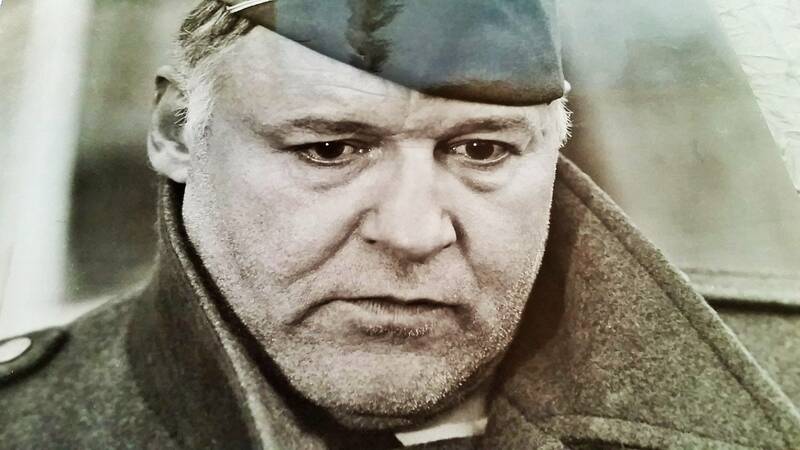 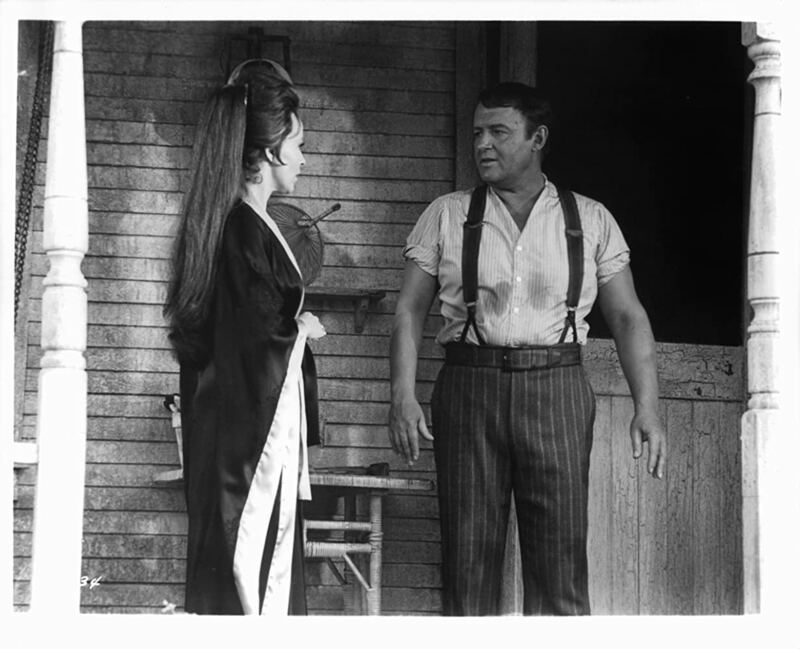 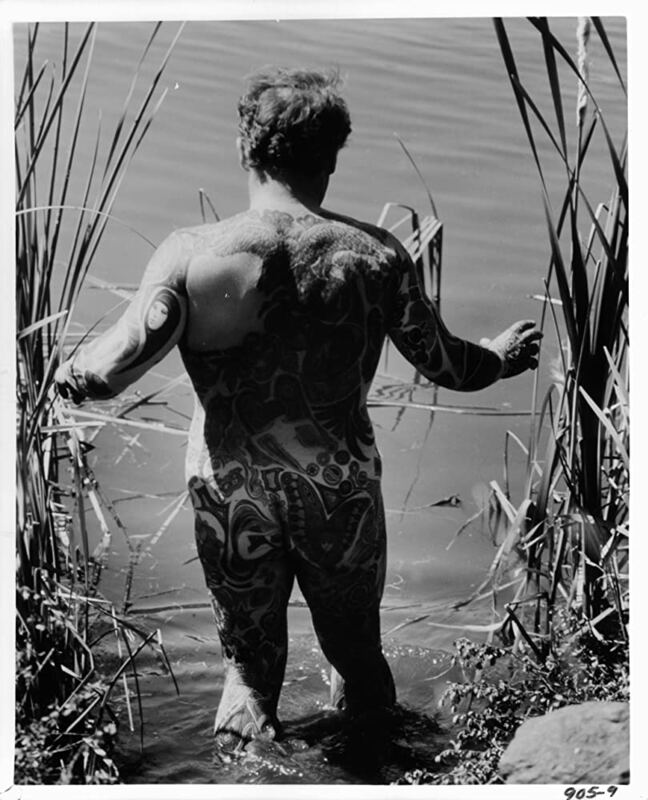 Rod Steiger while filming Ray Bradbury's THE ILLUSTRATED MAN (Jack Smight, 1969). 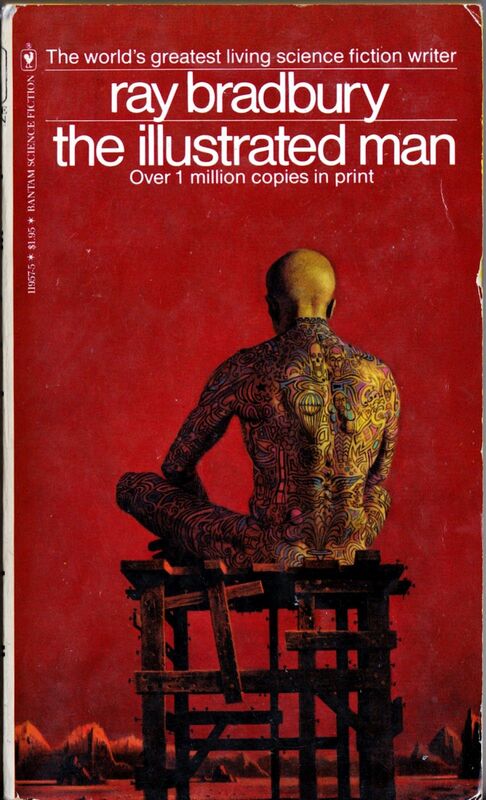 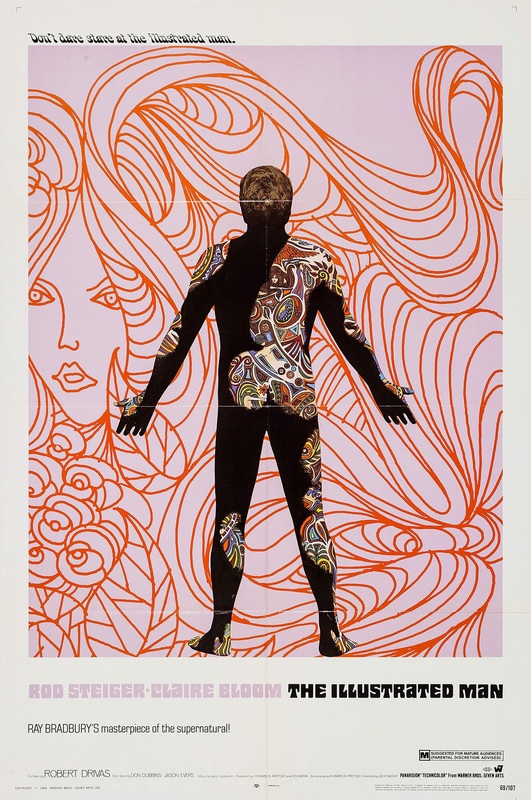 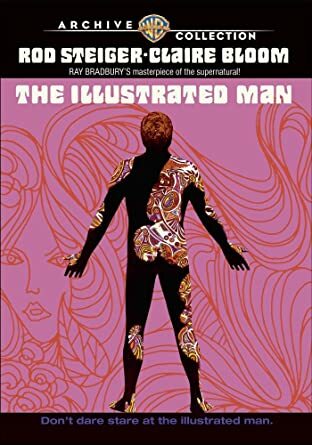 The Illustrated Man - Ray Bradbury - One of my favorite all-time books. 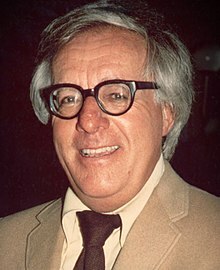 I was fortunate to have met Ray several times. 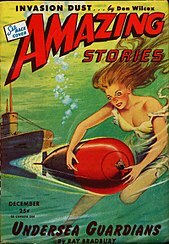 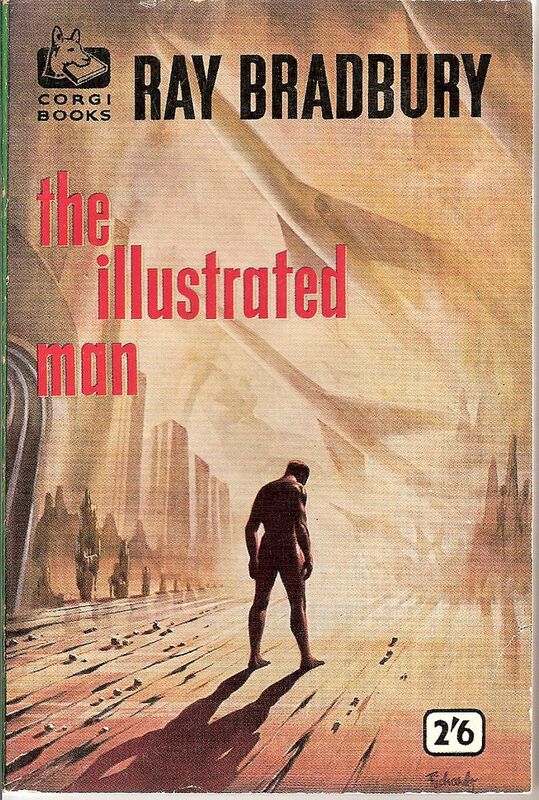 My favourite cover, I always like the "on the nose" ones. 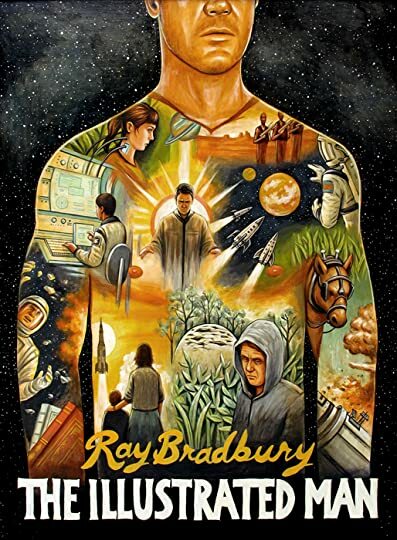 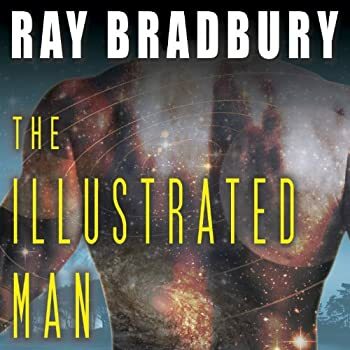 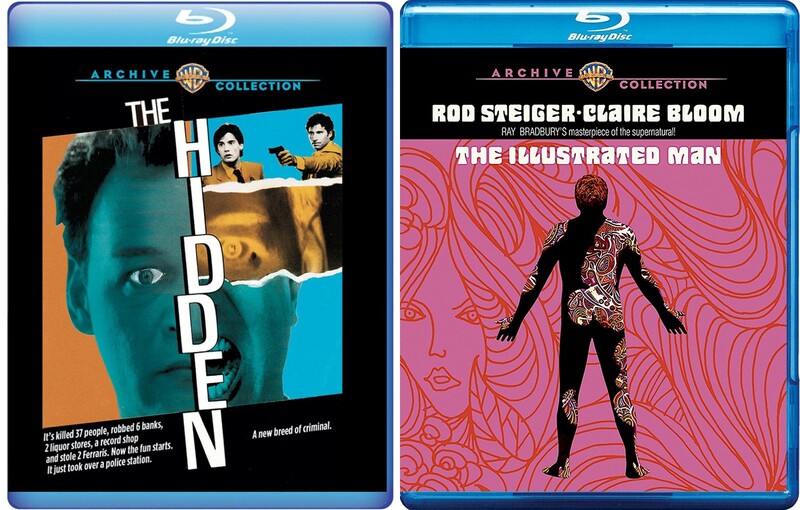 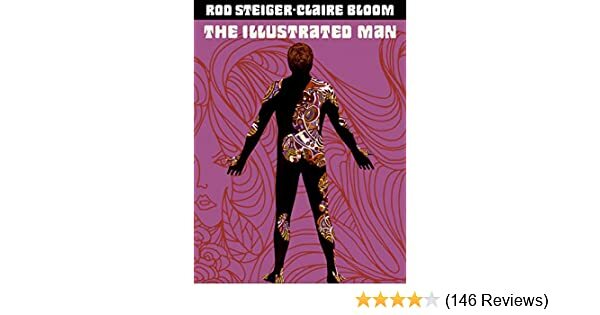 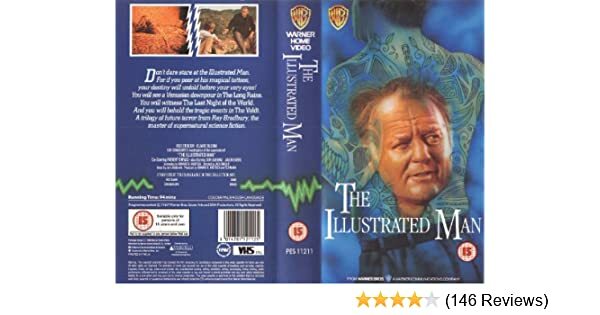 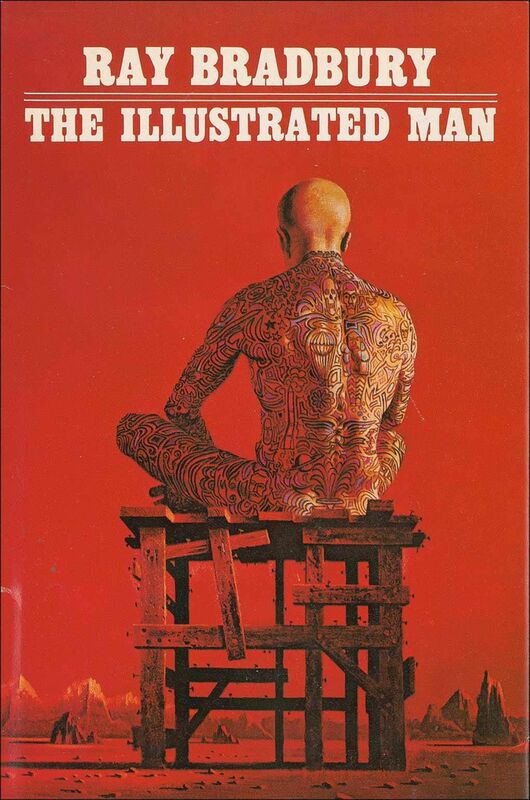 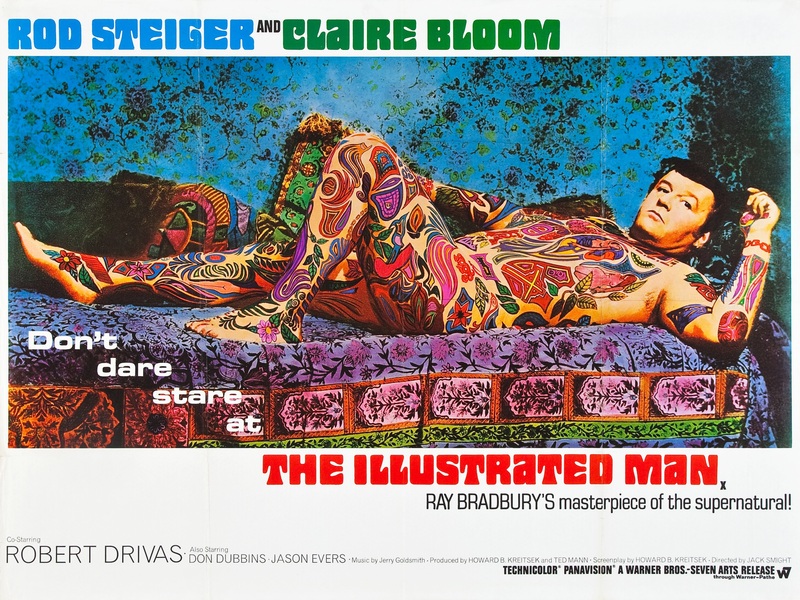 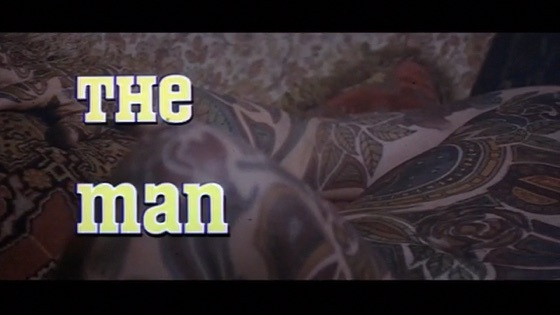 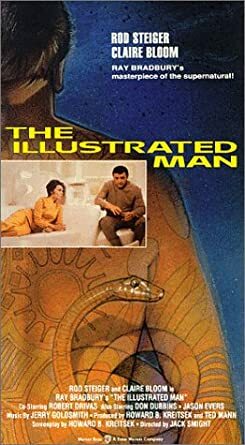 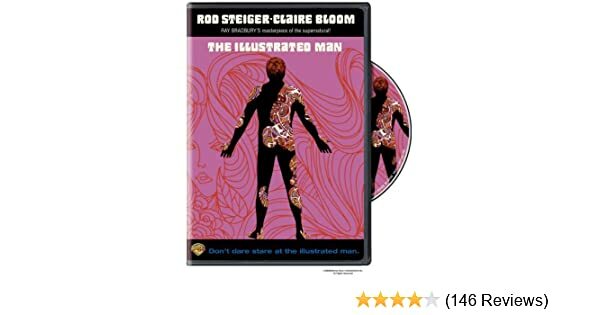 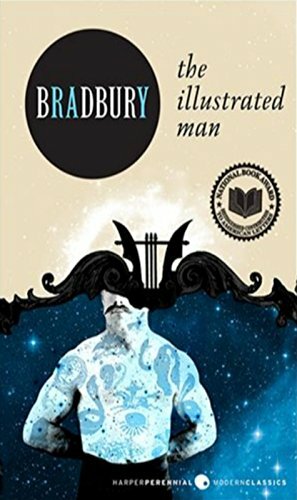 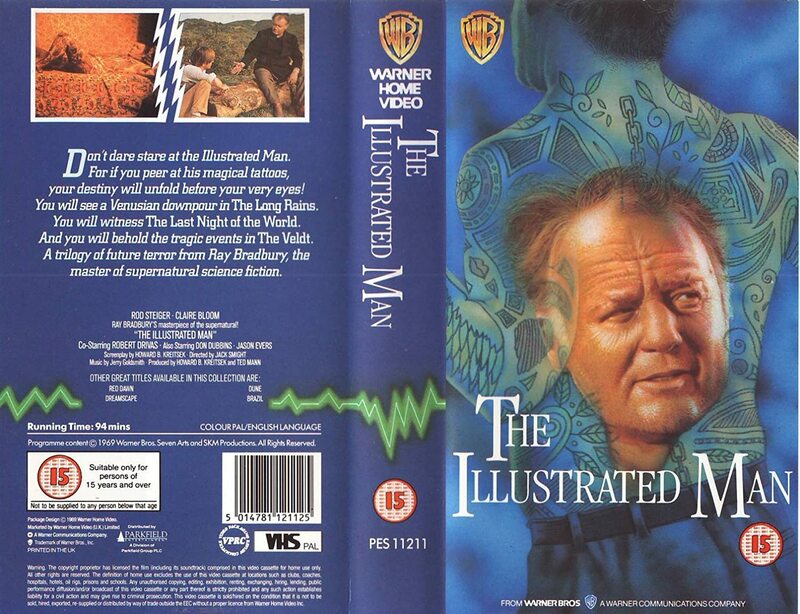 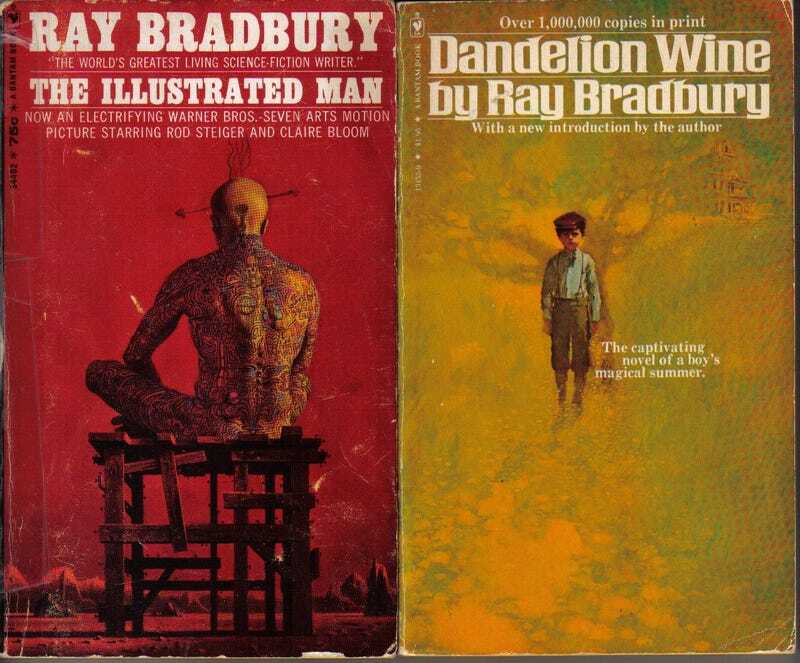 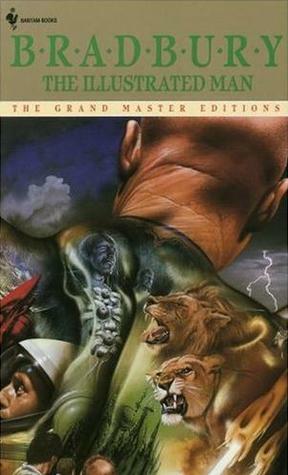 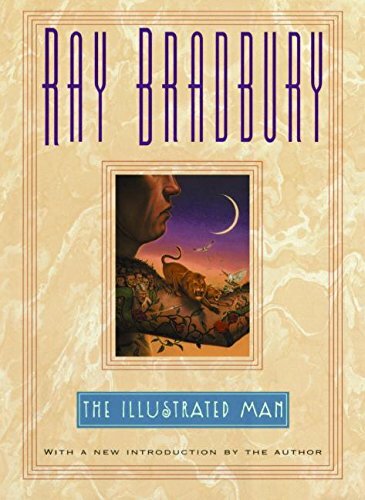 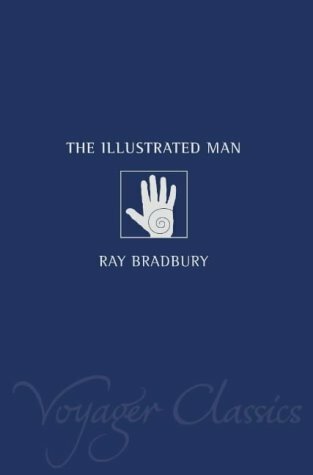 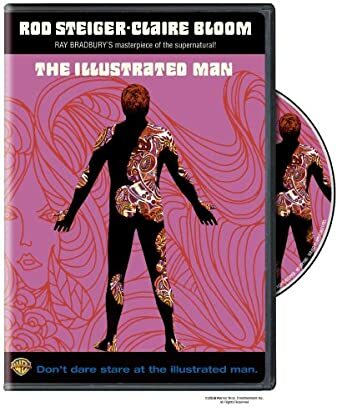 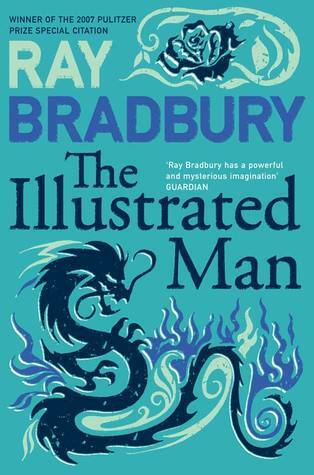 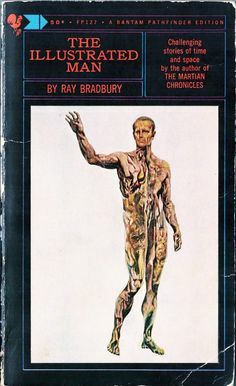 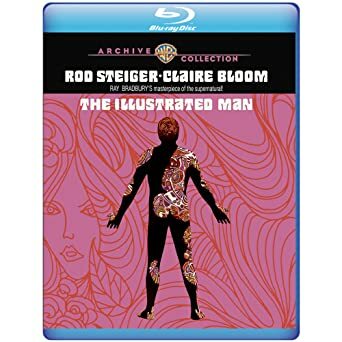 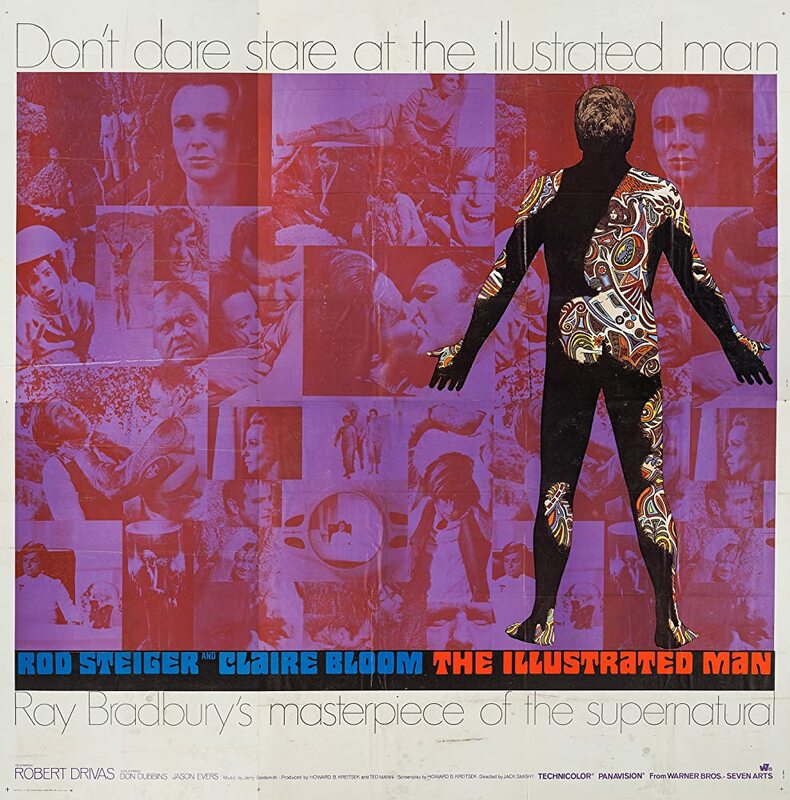 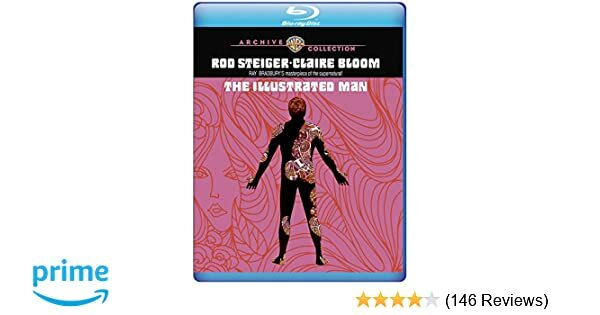 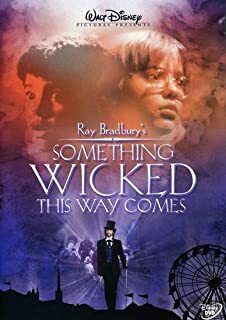 The Illustrated Man serves as a perfect introduction to Ray Bradbury, capturing, as Kat said, his most recognizable themes and settings. 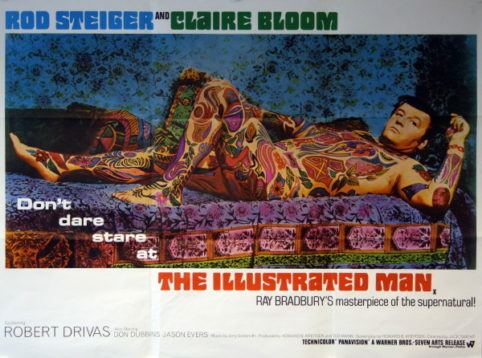 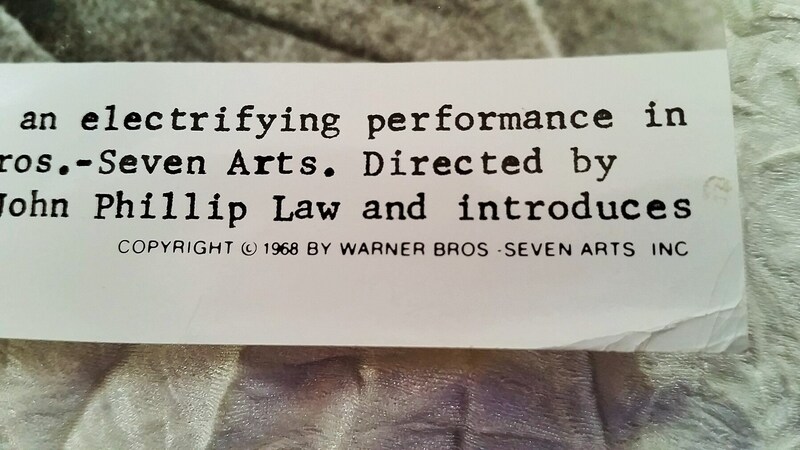 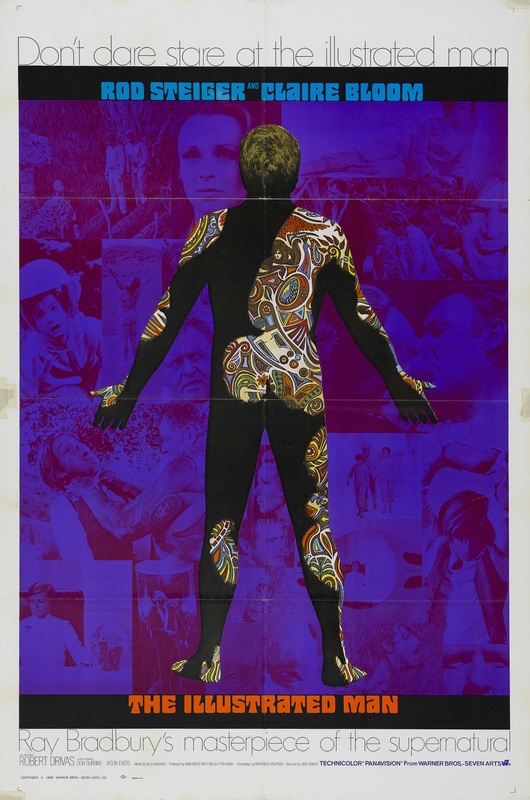 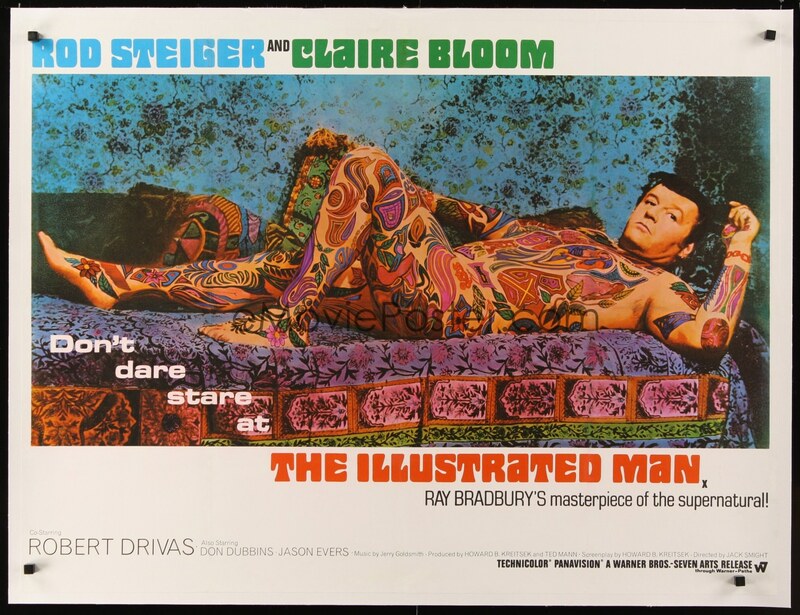 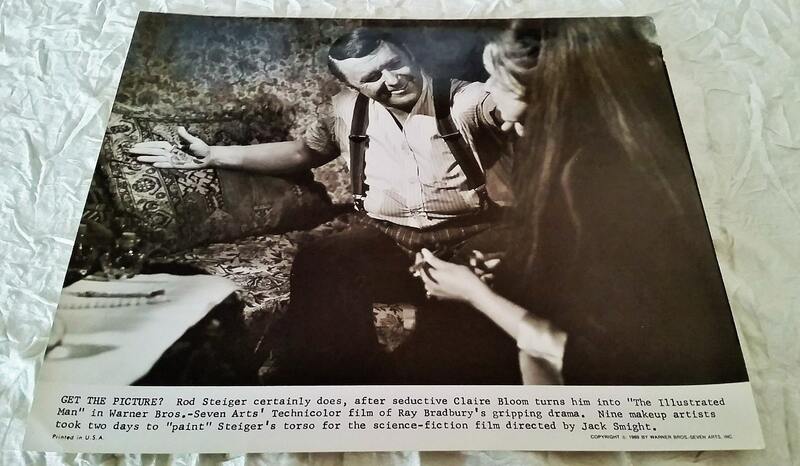 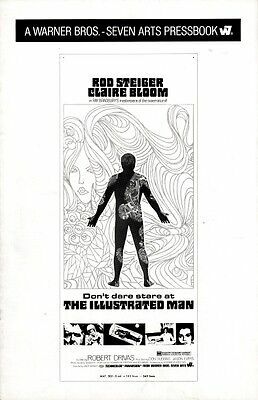 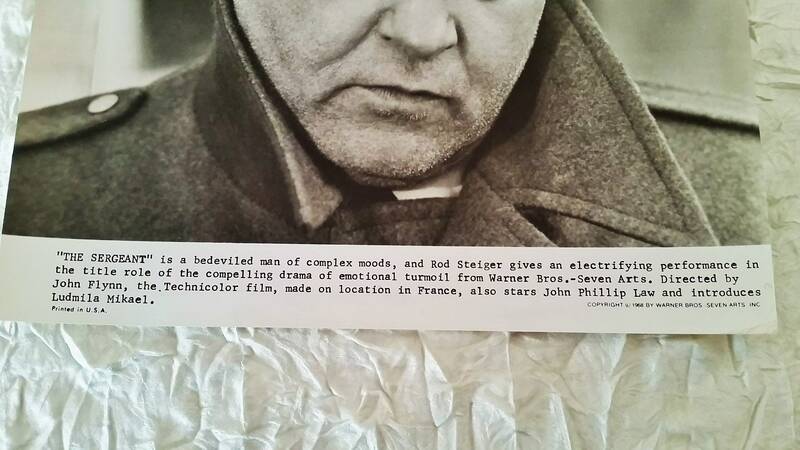 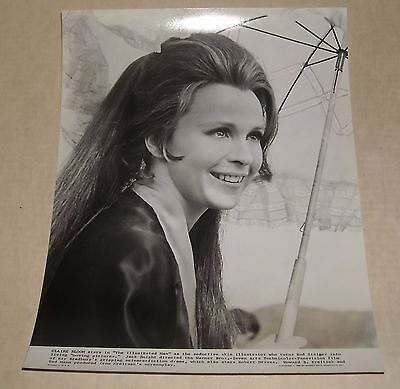 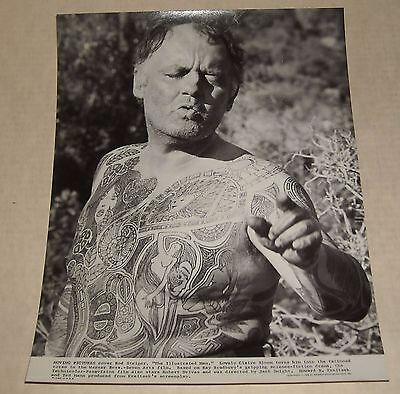 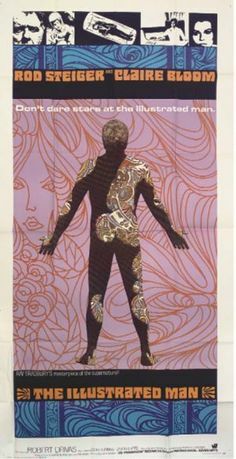 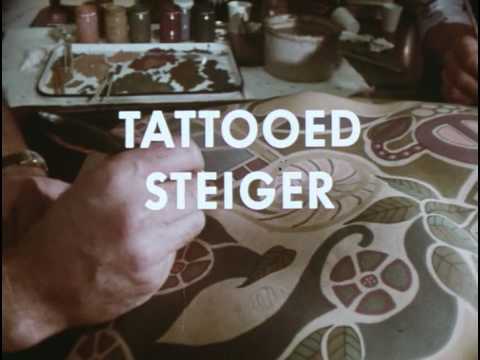 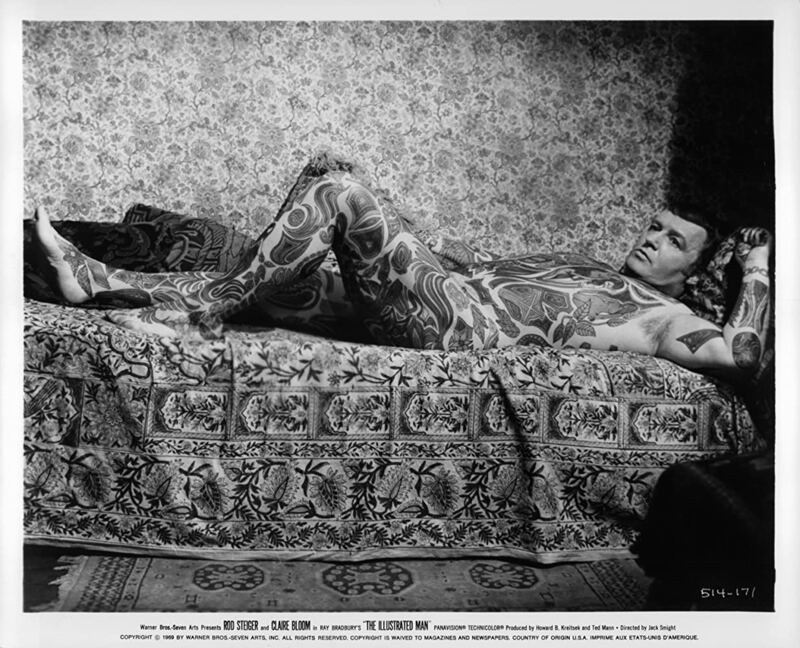 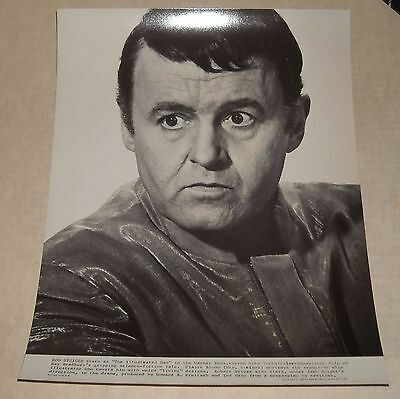 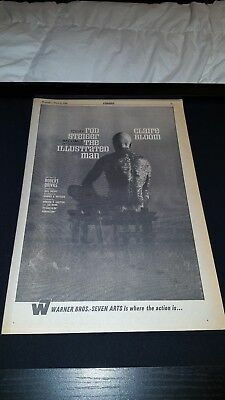 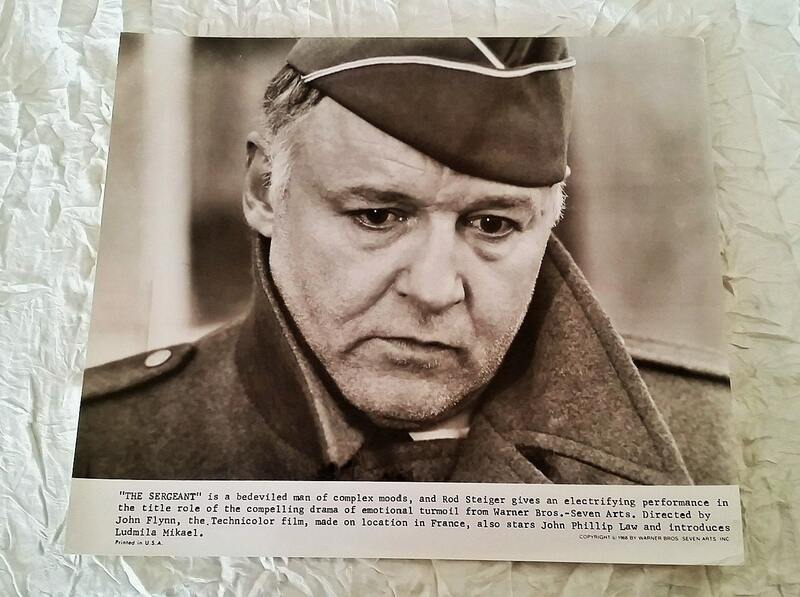 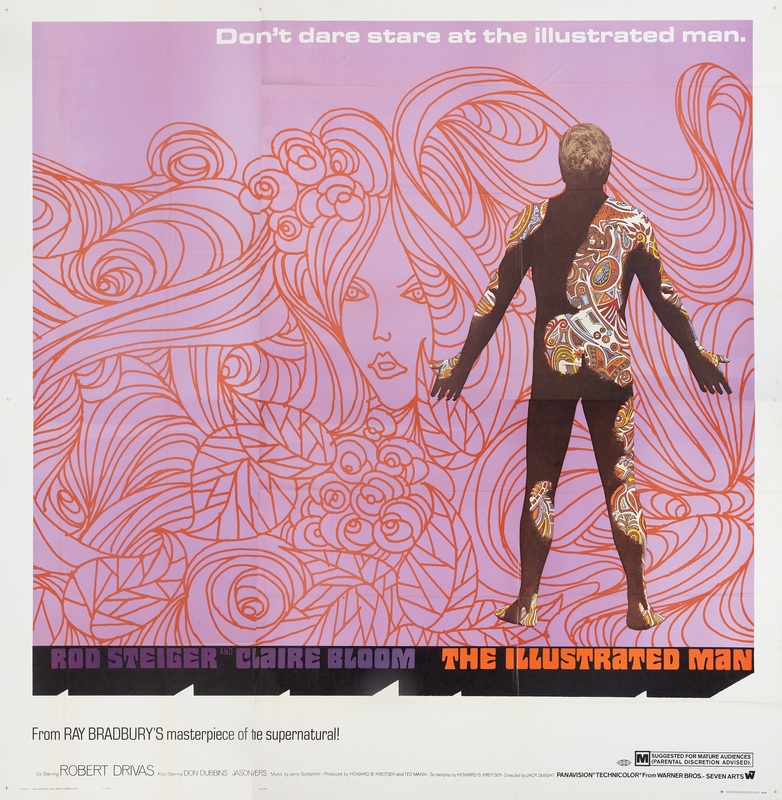 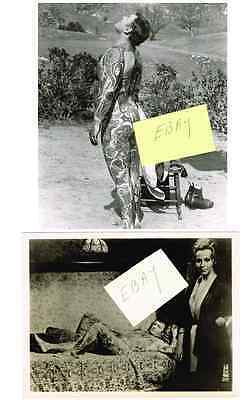 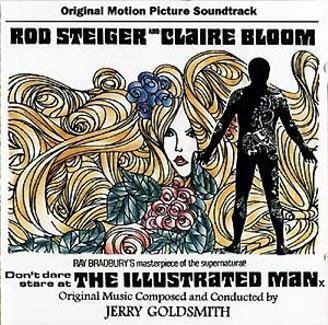 The Illustrated Man Rod Steiger 1968 Rare Original Promo Poster Ad Framed!